Ramaswamy: We’re in the middle of the biggest shift the retail industry has seen—that is the shift to mobile and mobile shopping. Shopping moments are replacing shopping marathons. That means people are using mobile phones to shop in short bursts throughout the day, making it easier to buy online through things like Android Pay, autofill on mobile websites, and buy buttons on websites. We are seeing that 12% of all Chrome users on Android are already using autofill, [a feature on Google Chrome browsers that stores credit card and billing information, and will automatically fill this out into fields on commerce and retail sites asking for credit card information]. We are also seeing more local commerce being driven through mobile shopping, including things like local inventory ads. 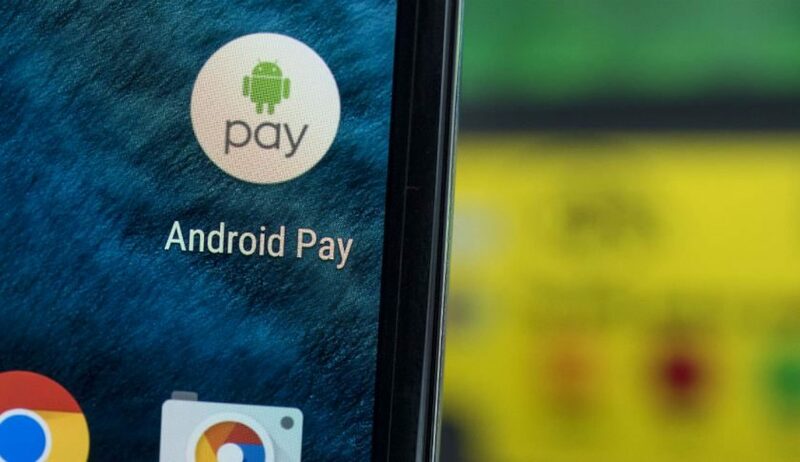 In stores, we think technologies like Android Pay [which lets mobile phones running on Google’s Android mobile operating system upload credit and debit card information to a “mobile wallet,” and pay in stores and in apps] is part of this shift as well. Android Pay launched a month and a half ago, how is it going? One of nice things about Android Pay is that when it launched, it was available to most people with an Android phone. We can say now millions of people have set up Android Pay on their phones, and over 60% of the people activating Android Pay are new users [meaning they didn’t have Google’s previous version of its mobile wallet, Google Wallet]. We are also seeing that tapping a phone to a point of sale terminal and paying is becoming more common. That’s step one. But we need to do a whole lot more. Payments need to be more than a replacement for a swipe of a card. Things like loyalty integration will be important. For example, this week over 20,000 Coke vending machines will start allowing people to transfer their loyalty information from Coke’s mobile app to the Android Pay app. We plan to expand that number to nearly 50,000 machines by the first quarter of 20016. What more can we potentially expect from Android Pay? We are thinking about ways in which we can do more in stores. One of those interactions is helping a merchant know that a customer is coming into a store. The merchant could send the customer notifications, and help connect to the customer more via their phone. Customers could also check out and pay right in the aisle of a store instead of having to check out at a register and wait in line. Another area we are exploring is using NFC technology [which lets people ‘tap’ their phones to a point of sale terminal to pay wirelessly] to allow people to get more information about products they are shopping for in stores. How is Google’s experiment with hands-free payments experiment going? It’s still an experiment, and there are no details on a public launch yet. Payments is a long game and these things take time to evolve. When will Android Pay within apps launch? That feature will be rolled out to app developers later this year. Because we are collaborating with payments processors Braintree and Stripe, that will help get Android Pay integrated into Android apps with little work for developers. Google Wallet recently evolved into an app that lets people send each other money from debit and bank accounts. How does Google view the opportunity in peer-to-peer-payments? We see peer-to-peer payments as akin to messaging. It is a convenient and quick way to send money to other people, and it’s a feature that needs to exist in a lot of areas, like Gmail. We will launch this feature in in mobile Gmail in the next few months. How is the buy button changing commerce? We see the buy button as one feature among a set of options for retailers and consumers to make commerce frictionless. In certain shopping contexts, the buy button makes sense for retailers. We are definitely invested in it, but tests are super early. We are excited by it, but don’t think it will have a huge impact this upcoming quarter and holiday season.